PLoS One. 2014 Jan 30;9(1):e84786. doi: 10.1371/journal.pone.0084786. eCollection 2014. Mourabit S, Moles MW, Smith E, van Aerle R, Kudoh T.
Bone morphogenetic proteins (Bmp) are major players in the formation of the vertebrate body plan due to their crucial role in patterning of the dorsal-ventral (DV) axis. Despite the highly conserved nature of Bmp signalling in vertebrates, the consequences of changing this pathway can be species-specific. 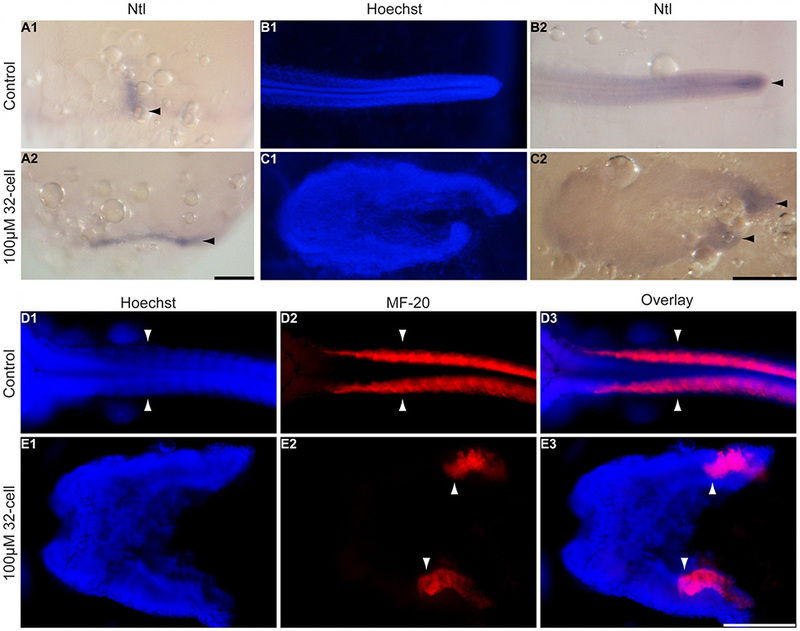 Here, we report that Bmp plays an important role in epiboly, yolk syncytial layer (YSL) movements, and anterior-posterior (AP) axis formation in embryos of the self-fertilizing mangrove killifish, Kryptolebias marmoratus. Stage and dose specific exposures of embryos to the Bmp inhibitor dorsomorphin (DM) produced three distinctive morphologies, with the most extreme condition creating the splitbody phenotype, characterised by an extremely short AP axis where the neural tube, somites, and notochord were bilaterally split. In addition, parts of caudal neural tissues were separated from the main body and formed cell islands in the posterior region of the embryo. This splitbody phenotype, which has not been reported in other animals, shows that modification of Bmp may lead to significantly different consequences during development in other vertebrate species.